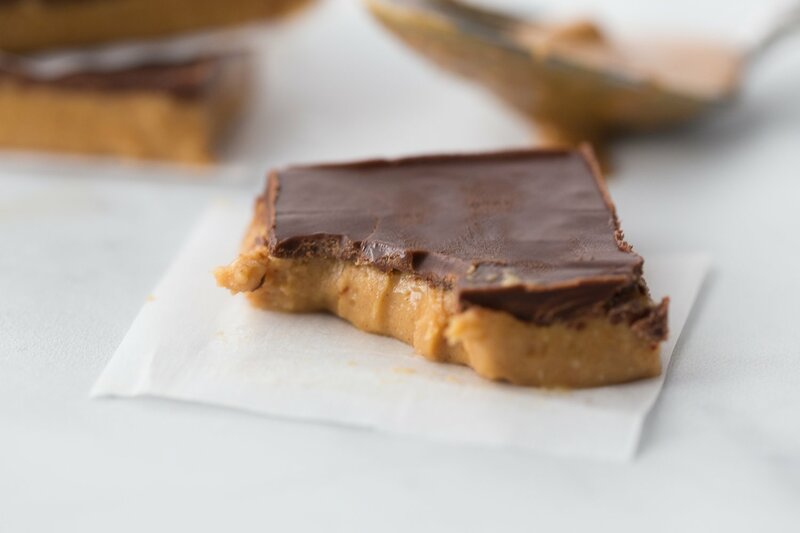 Peanut Butter meets creamy chocolate in these No Bake Keto Peanut Butter Chocolate Bars to create a mouthwatering delicious treat! My hubby loves Reese’s Cups, but obviously, those aren’t keto friendly. I’ve tried making various recipes I found on Pinterest, but many ended up tasting like peanut butter flavored coconut oil. Last week I decided I’d try my hand at a batch of No Bake Keto Peanut Butter Chocolate Bars and they turned out amazingly delicious! In fact, after 22 years of marriage, my hubby got down on one knee and proposed to me again after taking a bite. I’ve included step by step pictures below to illustrate how quickly these come together. I loved the added texture that crunchy peanut butter added to the No-Bake Keto Peanut Butter Chocolate Bars, but you can use creamy if you prefer. My favorite natural peanut butter is Smucker’s Natural. Make sure that all the ingredients are combined thoroughly. You can line your baking dish with parchment paper to make clean up even easier. If not, make sure to grease your baking dish carefully. I used a Lily’s Creamy Milk Chocolate Bar sweetened with Stevia for the chocolate layer instead of the dark chocolate Lily’s Chocolate Chips so that it would taste more like a Reese’s Cup. I’m pretty sure this is my absolute most favorite keto treat to date. Yes, they are as good as they look. No Bake Keto Peanut Butter Chocolate Bars combine tasty peanut butter with a mouthwatering milk chocolate layer for a fantastic keto treat. In a bowl, beat softened butter on high speed. 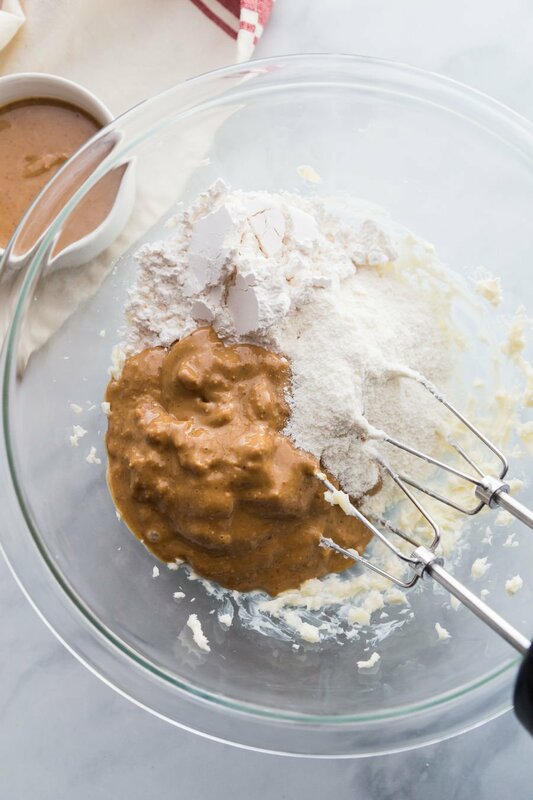 Add powdered Monkfruit powdered, peanut butter, and coconut flour then beat with a mixer again on medium until all of the ingredients are thoroughly combined. 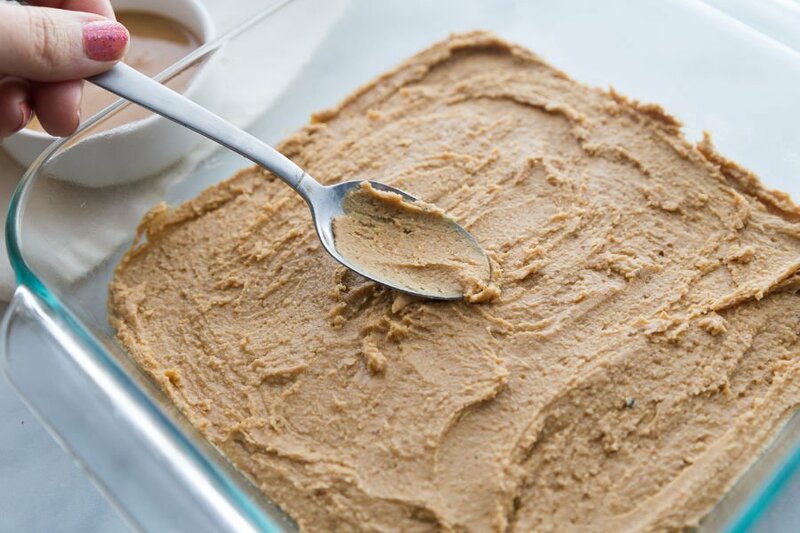 Line a 9 X 9 inch baking pan with parchment paper (or grease pan) and spread the peanut butter layer evenly then place in the freezer for 10 minutes. Meanwhile, tear the Lily’s Smooth Creamy Chocolate Bar into pieces in a small greased glass container and add 1 tablespoon of butter. Microwave for 30 seconds, then stir. If it is not completely melted microwave in 15-second intervals stirring between until it is. Make sure to always stir as it will continue to melt when you stir it. 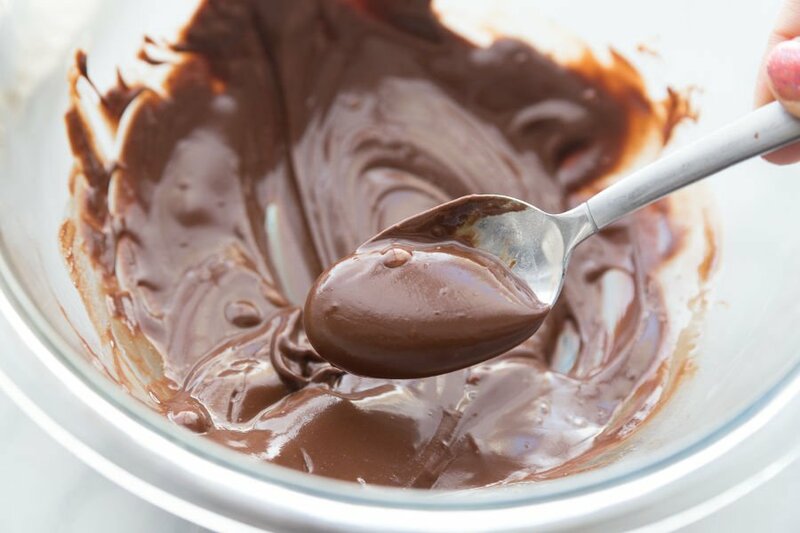 Do not overcook or the chocolate will become hard and will not spread. 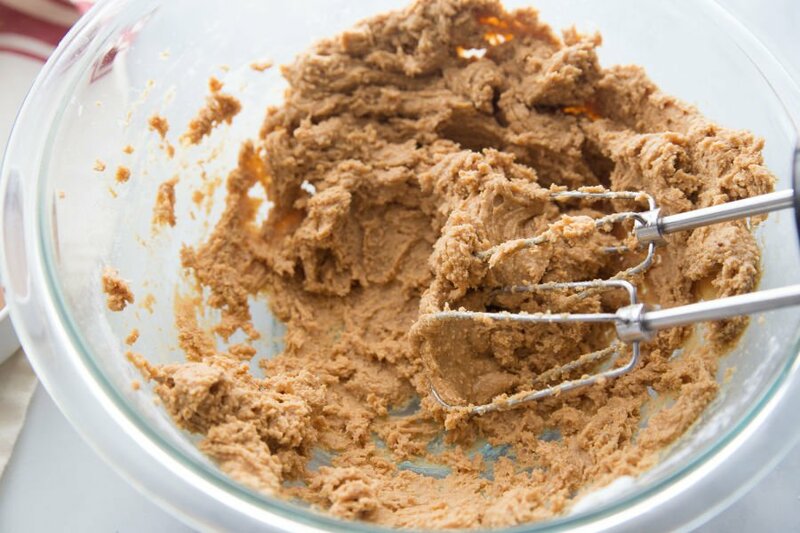 Remove the baking pan from the freezer and spread the pour the chocolate layer on top of the peanut butter layer then using a spatula spread it evenly. Return to the freezer for several hours or overnight to allow the No Bake Keto Peanut Butter Bars to setup. Once they have set up you can store either in the freezer or the fridge. We tried ours both ways and they are delicious!